Anonymous asked: How can i explain to my mom that wearing menswear is okay? my mom is really traditional and old fashioned and doesn’t understand that it’s what i’m comfortable in. I asked my friend Missy for help on this one cause she’s a social worker and stuff. The way you phrased it is perfect; that menswear is what you feel comfortable in. You can use this as a common goal, because I’m sure your mom wants you to be happy and comfortable too! You could ask your mom what her favorite outfit is and what she feels like while wearing it. Then show her your favorite outfit and tell her how you feel when you’re wearing it. (eg. I usually gain two inches in height when I’m wearing a bow tie.) I’m sure she doesn’t feel comfortable wearing EVERYTHING that is traditionally considered feminine, and she would be sad if she was pressured to. Let’s talk about stereotypes. You and your mom can make a list of what “women are supposed to do,” and think about ways in which you each fit those stereotypes (leg shaving, dress wearing, talks about all of the feelings, likes to cook, good at picking up social cues, sees dirt) and then think of ways in which you each don’t fit them (good at fixing things, likes watching football, dislike of pink, great backhand.) For you, wearing menswear is just one way that you don’t fit the stereotypes. Missy explains, “Everyone doesn’t fit gender stereotypes in some way — because they’re impossible to fit and unrealistic.” Word. Your mom’s journey to get used to your presentation might take longer than you’d like. It’s totally normal for parents go through a sense of loss when their kids don’t match their dreams and expectations. For parents of gender non-conforming kids, it can be more intense. But it’s the same deal. So talk that out with her too, and encourage her to be open with you/someone about her feelings (resource list below.) Because those feelings are REAL. 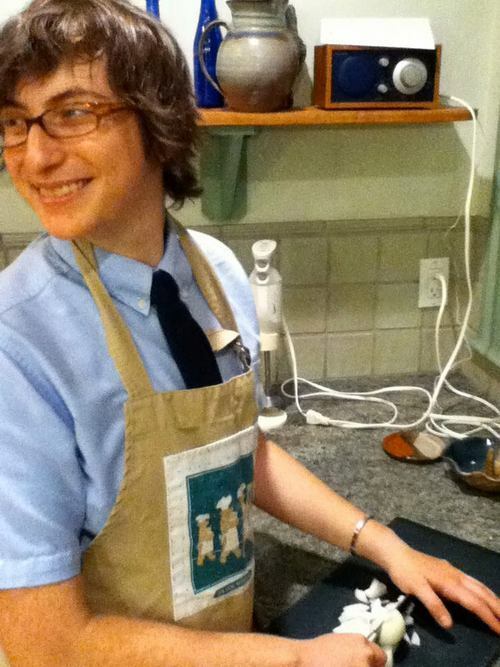 It can be hard to keep your cool if your mom is going all what’s-up-with-that-tie on you every day. And those emotions are totally legit too and worth exploring with a therapist if you want (links below.) But you will probably get better results in these conversations if you approach your mom in a non-confrontational way. Missy puts it that “Sometimes we have to parent our parents.” Try to be patient and understanding with her while you help challenge her ideas about how you should dress. It sounds like you’re really already looking at where your mom is coming from in all this. So that’s an amazing start. 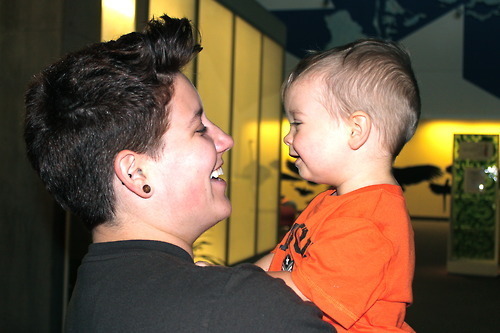 In conclusion, butches and babies are the most adorable thing on this earth. PFLAG: a support group for parents, friends, and family of LGBTQ and gender non-conforming people. Therapy! : You can find a therapist in your area who has experience working with LGBTQ people (even if you are just straight and like to wear menswear) and have some family therapy sessions. A good therapist can help you both mediate your conversations in a safe way. Missy uses Psychology Today's website to find therapists who specialize in LGBTQ clients. Everyone is Gay: Gosh I love them. All around good advice for young people.